We recently discussed some of the finer details of professional hazardous materials emergency response procedures. However, we only briefly touched on the need for documenting and reporting hazardous materials incidents, and we cannot stress enough the importance to do both. Under Title 49, Code of Federal Regulations (49 CFR) Part 171.15, certain emergencies require notification of the incident to the National Response Center by calling 1-800-424-8802 (according to Part 171.15), and completion and submission of the Hazardous Materials Incident Report Form DOT F 5800.1 (according to Part 171.16). In the immediate aftermath of a hazardous materials incident, time is of the essence. The Incident Report Form must be filed with the Pipeline Hazardous Materials Safety Association (PHMSA) within 30 days. The process does not end there: a follow-up report must be sent before a full year passes. Together, these reports provide all the pertinent information about the short-term and long-term effects of both the incident itself and the handling of said incident. Having this information allows PHMSA and other agencies to have a better understanding of the most effective methods for preventing and resolving emergencies related to hazardous materials. PHMSA has recently developed and launched a new online portal, called the Hazardous Materials Incident Communication System (HAZMATICS), designed to promote and facilitate completion of the Incident Report Form. While the Incident Report Form may still be completed manually on paper, this portal was created to provide people not only the means to complete the process electronically, but also user-friendly tools that simplify it. Perhaps the most useful features that HAZMATICS provides, particularly for individuals who have never had to fill out a hazardous materials incident report in the past, are those that provide additional information as to the details requested in the form. Every question comes with clarification as to how it needs to be answered and what information is required in that field. This decreases the chances of someone making a potentially critical mistake in their reporting. Other features include indicators for when a required field has not been completed and when an error has been made. This can be of particular advantage in instances where information pertinent to the incident has not yet been fully collected, as HAZMATICS users now have the option to correct these issues later. They also have the ability to save any work on the report, leave it incomplete, and return to it at a later time. Additionally, documents related to the incident can be easily attached to the file containing the relevant Incident Report Form. The HAZMATICS system should make reporting hazardous materials incidents a more streamlined and simplified duty. 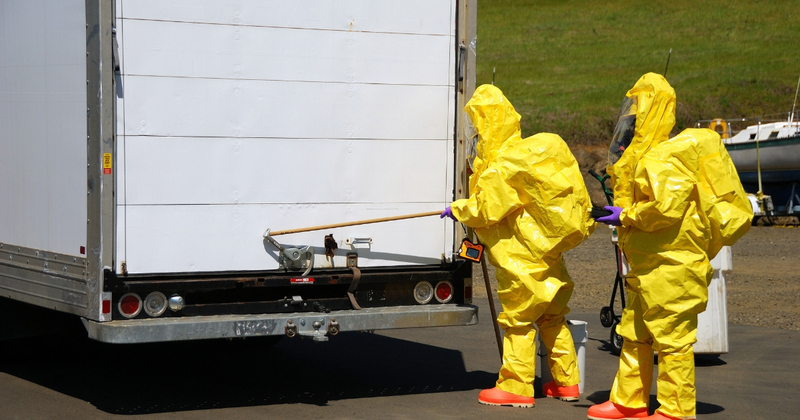 However, in order to understand what measures are required for preventing an incident, as well as what to do when an incident arises, all hazmat employees are required by law to undergo initial and recurrent training. Hazmat University provides online courses for shipping by air training, shipping by ground training, and shipping by vessel training, as well as multimodal courses that are combinations of some or even all. Review our selection of up-to-date and accurate courses and begin your training today. Dangerous Goods on Passenger Aircraft? © 2019 Bureau of Dangerous Goods, LTD . All rights reserved.